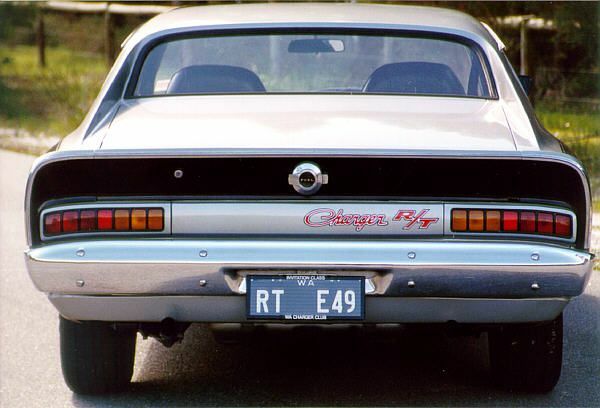 This Mercury Silver Valiant Charger pictured here is one of 149 "TrackPack" R/T E49 Chargers made, which were the fastest of our Aussie Chargers. This car has completed 38,100 miles since new and was stripped in the early eighties and restored to its present perfect and totally original condition. It still cuts 14 second quarters and runs well. 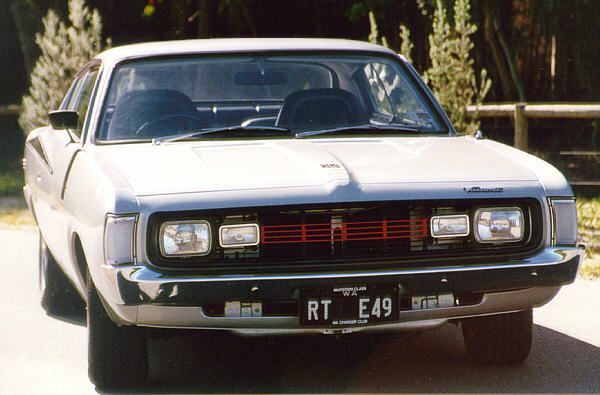 Trevor's car was sold new in Kalgoorlie, a gold mining town with a hot-dry climate some 730 kilometres north-east of Perth, Western Australia. This is quite lucky as Kalgoorlie's climate isn't very conducive to corrosion, so Trev's car still sports all its original panels. Trevor tracked down the original owner from the name and address printed in the car's owner handbook. Trev simply rang directory assistance and asked for the name, as shown in the owners book, it turned out that the guy still lived in the same house, some 25 years later, which was a nice stroke of luck. The original owner had traded up from a GT Falcon to take delivery of his new E-49. 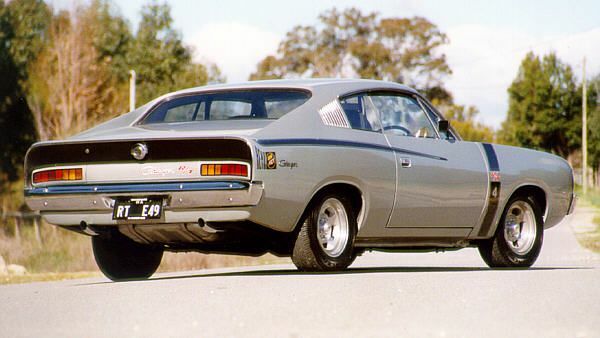 The car was mainly used for country stretches between Coolgardie and Kalgoorlie. The original owner reported to Trev that it would sit on 110-120 mph all day and never get hot, he also had some joy recalling how no one had ever been able to beat him out on the highway in this '49. The original owner sold it around 1977 as his kids were approaching licensing age and he didn't want them to get their hands on it. The car was then sold to another country guy, who carried out the restoration and basically stored it for twenty years. This car is optioned with the A87 TrackPack which consisted of a 16:1 ratio steering box, 14x7 alloy wheels, heavy duty brake discs and hubs, and adjustable rear suspension, the A95 interior dress up pack which included reclining bucket seats, carpets and a 3-spoke steering wheel. 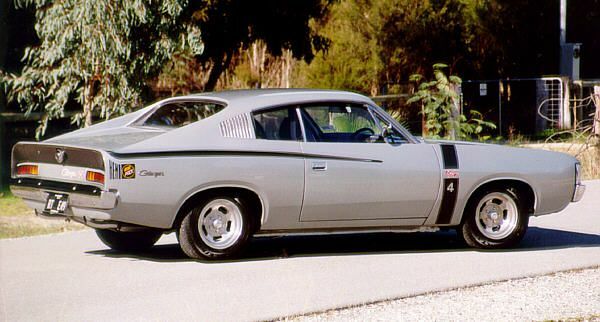 The D20 4-speed gearbox, the D56 3.50 ratio Sure Grip Limited Slip differential, and the magic E49 code which gave you a race prepared and blueprinted 265 HEMI six cylinder engine. The E49 "six-pack" engine came with a baffled sump, tuned length headers, special crankshaft, conrods, pistons, rings, cam, twin plate clutch and triple 45mm dual throat Weber Carburettors. Chrysler quoted this engine as producing 302 HP. 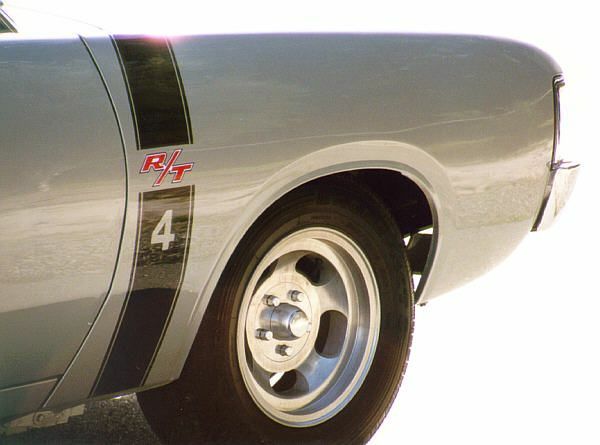 Road tests of the era recorded quarter mile times of between 14.1 and 14.5 seconds. 0-100 mph (160 kph) in 14.1 seconds was the norm. 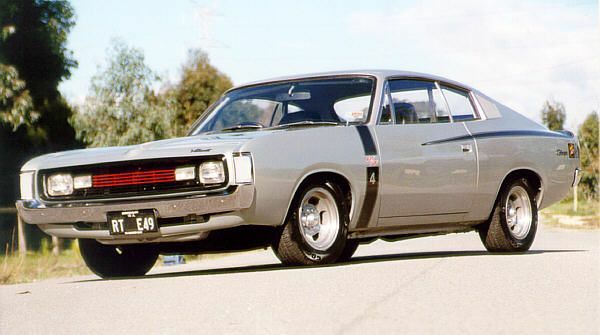 This compares to times of 15.6 for the 0-100 mph sprint, for the next quickest accelerating Australian muscle car, the mighty XY GTHO Falcon.